Advancing the Art of Crochet through Learning, Teaching & Charitable Donations. Well, Sunday was a Success! OK A WET Success! Did you see our rendition of Singing in the Rain! No? Oh well, you missed our Academy Award winning performance! What a Fun Day! YES! 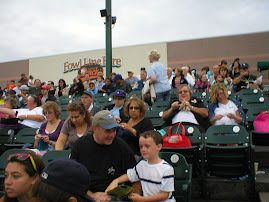 We did have turn out! 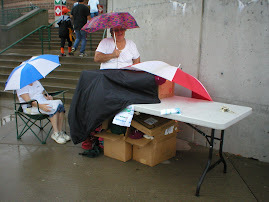 It was very hard to crochet or knit while holding an umbrella, but, some of us found a way! The Goody Bags were a hit especially to our 2 younger crocheters Matt and Arielle, they were tickled that there was yarn & a crochet hook! Cathy and her Staff - A Yarn Garden - Donation of Crochet hooks, Squares and Selling Tickets for us. Ann and Her Staff - Village Knitter - Donation of Squares and Selling Tickets for us. Infinity - Donation of Hats, Scarves, Squares. Thank you so much, for you help in making this a Success! We are now busy putting the squares together! I wonder how many blankets we will have? 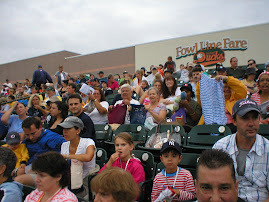 While your here check out the Pics from Sunday's Stitch n Pitch! And as most of you know it's 60/60 time! we will be posting totals on Ravelry! I would also like to Welcome our new members! What a Year for Crochet! 2009 brought us the Most Beautiful Designs from Scarves to Clothing, New Stitches, and the Most Wonderful Yarns and Fibers one could image! Lois and I went to the CGOA 2009 conference, where we met Andrea. It was exciting for both as it was their first conference. We founded the CCGLI and in September became an official CGOA Chapter! Good Sam Hospital in Bay Shore has requested our assistance; there is a shortage of Baby Blankets for those babies going home, come on ladies it's cold out there. We have made plans to Crochet in Public once a month! Yes, as a group we will walk into a Mall with Crochet Hooks in hand!, find a comfortable spot and CROCHET! Hoping to accomplish 2 things; 1 Spread the Art & Love for Crochet, and, 2 gain new members! Good Luck Karen on your first CGOA New Letter! Thank you HHCC for the warm Welcome! On Sunday, Andrea and I went to the HHCC monthly meeting in CT. What a meeting! Andrea and I got some Great ideas and can't wait to put them in motion! Stitches East -Oct. 24th We have 3 ladies that are going to help out, how many others are going? They Need our HELP!!! We have a request to make Chemo Hats! IF you have any please bring to the 10/14 meeting. Crochet With Dee - Is Amazing! I will be ordering the Pattern. Thanks Dee! Margaret Hubert has a new book coming out! Margaret Hubert Check it out! It was amazing watching her work on scarf, that she wanted finish by the end of the meeting. Oh No! She ran out of yarn! Wait, Shhh! she snatched up a small amount of yarn left over from someone else’s scarf! DARN it's not enough! OK she thought we'll make it a Hat! So she added a few mores to the scarf, working her way up she closed the scarf (looks like a tube!) I'm thinking, Now What! Suddenly, she started working the crown in the round! She finished it and with a twisted cord no less! Amazing - Wish I had my camera to get pics of this one! That's what I Call Creativity On the Run! Great News From The Crochet Dude! Drew is now Taping the new season of the Knit & Crochet Today Show, can't wait to see what this season will bring. Ladies please email me with any tidbits or up coming events. As you know we moved to Panera's Bread on Hempstead Turnpike, in East Meadow this past week, and I'm glad we did! Welcome our 6 New Members! Gayle C., Kathy T., Barbara L., Debbie G., Deborah C., and Joan D.
Melissa - 100% black wool, Patons Decor, Lilly Chin, Red Heart Strata, 100% cotton yarn and Lion Brand chunky. Dee has new patterns out! I love the Tumbling Clusters Autumn Scarf ! Hope to see you Weds. 7pm at Panera's Bread in East Meadow! We are starting to grow, so we moved the meeting to Panera' Bread in East Meadow on Hempstead Turnpike, Wed. nights 7pm - until. Regina- is still working on the Chapters’ Logo. Regina- Vanna's Choice 5 1/2 Throw - Using a "Q" hook, working 3 strands together. Dk. Rose, Olive, and Linen. This is her 9th throw she's making! Debbie- 60/60 Scarves. -using her stash completed 8 scarves. Different types of hooks made. A comparison of wood, aluminum, & plastic in feel, weight, and size. Debbie's reason why she would use wooden hooks is the size of her grip compared to the length of the hook. Since having large hands, the plastic and metal are too small, after a while, she experiences pain and cramping. Melissa pointed out that when you use metal, after a while, your hands get hot and sweaty, and messes up your work. She's ordered special hooks from Japan that they swear they are the best! Regina added that when she uses the metal hooks, they feel heavy, which causes fatigue. Future discussions on hooks will be repeated, especially when Melissa's order comes in! Hats - Showing how to make a hat, and different approaches to making a hat. We'll discuss increasing and decreasing as well. Happy Crocheting, Hope to see you at the meeting! while I was out of town. She did a Great Job I think we will let her do the posting from now on! Our little group is un-officially called Creative Crochet Guild of Long Island met at the Levittown Starbucks (located in the King Kullen Shopping Center, Hempstead Tpke. Lois was working on a knitted puse using Vanna Glamor and eyelash mixed with nubbly-colourful fuzz balls. Regina crocheted a hat (beginner’s level) using one skein of Vanna’s Choice. Hat is a small child-size. Melissa began to make the Endless Crochet Cardi-Shawl by Jennifer Hanson/Stitch Diva Studios. Project of the week: Ending 9/23: Make a hat/cap. Adult, child, or baby. Using whatever skill level you are. Pattern exchange on 9/23. Next meeting: 9/23, Starbucks, Hempstead Tpke. Levittown. 7pm. Bring projects, and fiber friends! At our our meeting last night and it was GREAT!!! We accomplished so much while crocheting and chit chatting. We voted on a President, Treasurer, Name & Logo! Melissa and here Green bag. Regina making scarves for Breast Cancer. Lois showing off yarn bought at the conference and the next sweater she will be making her grandaughter. Andrea showing of a beatiful white sweater she made. Deb still working on the Merino Lace shawl with beads. But the best part was the chit chat and laughing! We are a small but Mighty Group that gets together once a week to learn and share our love for crochet. We have taken on the 6o Scarves in 60 Days Challenge with a avengence! We invite you to join the Challenge as it will benifit your local community. We have day trips planned and so much more. Rhinebeck, Ahh, yes a day of touching and fondling yarns of all sorts! Can't wait! We are presently meeting at Starbucks, Hempstead Turnpike in Levittown, N.Y. (in the King Kullen Shopping center) All are welcome please feel free to stop by. Knitters Weclome! Thank you Dee for all your Help! We love making friends - One Chain Stitch at a time. 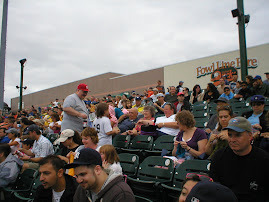 Stitch n Pitch 2010 LI Ducks! Rain Ain't gonna Stop US!!! Are the Skies Clearing?? PLEASE!!! BUT MOM!! That's my Goody Bag!! NOW Thos is what I call Real Troopers!